Ready to sell your house in Orlando and Central Florida? You will likely have many decisions to make along the way. Learn more about mistakes home sellers can avoid before selling their house in Orlando! You don’t have to list your house in Orlando and Central Florida in order to sell it. You can choose to sell it yourself either on the market to traditional buyers or directly to an investor or professional property buyer such as House Solutions USA. What works for one property seller may not work for you. Before you call an agent, take a look at what is available to you! Learn about what we can offer you for your Orlando property! There is never any obligation. If you choose to list your house, one of the biggest mistakes you can make is pricing it too high out of the gate. Many sellers have an over-inflated price in their head, trying to get as much as possible, without considering what will be a realistic price to sell for. Some agents will advise you to list high so they can convince you to sign with them, while they take a shot at scoring a higher commission. If you decide to list your Orlando house, there are all sorts of costs to consider. Not only are there agent commissions, but also agent fees, administrative costs, marketing costs, listing fees, closing costs and more. All of which can be avoided with a direct sale to House Solutions USA. Not doing some things up front will cost you down the road. Once your buyer does an inspection, they will often ask for a number of things to be fixed. You might be blindsided by the number of repairs your house needs. Some sellers choose to have their own inspection done before listing so they have an idea of what they are in for. Taking care of the problems up front will save you time and money down the road. Or simply sell to House Solutions USA as-is. It can be easy to hire the wrong agent. Some are full of charm and are great at sales. This is great when they are trying to sell your house, but they also use this charm to get you to sign with them. Make sure they aren’t making false promises or are only worried about their commission. You can look at reviews, but it is best to hear first-hand experience from people you know and trust. You simply aren’t going to click with everyone either. You might find the top agent in town can be incredibly stressful to work with. House Solutions USA will provide you with the information you need to help you decide how to sell your house. There is never any pressure to sell or obligation when you give us a call. As professional Orlando investors, we want to work with you to help you make smart decisions about how to sell! Chris Romany is a qualified local expert in Real Estate who has a passion for helping people, regardless of their situation. He buys and sells houses full time, and is focused on property in the Central Florida area. Should I Hire A Real Estate Agent To Sell My Home In Orlando Or Sell To An Investor? Chris R. Is friendly, professional and honest. My experience was a very positive one. This was my first home that I sold and Chris helped guide us through the process while always keeping us informed. Great guy!!! "I had a house to sell quickly, and Chris was able to close the entire transaction in just 5 days. I had never dealt with him before, and being located out of state made me a little cautious. Thankfully, he was professional from start to finish. He did exactly what he said he was going to do, which was very important to me since dependability/honesty is so rare these days. Thanks Chris!" 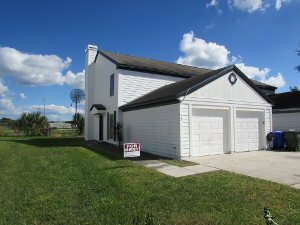 I recently sold my father's home in Auburndale, Florida, as part of his estate. I received many letters of interest and met with two realtors in addition to Chris, and opted to work with Chris as I was impressed by his professional demeanor. He was committed to me and my family and was patient with the court process. He remained in contact with me for nearly a year before we could sell and once we were legally able to sell, the transaction went quickly and smoothly. I would recommend Chris to anyone seeking to sell real estate. Purchased a house intending to flip. Personal circumstances changed rapidly and I would not have been able to provide the necessary attention to complete the project myself. Chris essentially 'took over' and handled everything efficiently, profitably, and without a single hitch. I will forever be grateful. Chris is the type of person that makes sure his customers are also fully informed and protected which makes for quick and smooth transactions. Chris is honest, trustworthy and awesome to work with. As an investor-friendly title company that hears the good and the bad from our clients, we hear nothing but good about Chris and his team.